Routing the Rust. Plant breeders at the Kenya Agriculture and Livestock Research Organization are at the forefront of the global effort to develop wheat varieties resistant to a new virulent form of stem rust (Ug99), which once destroyed up to 80% of the wheat crop in parts of Kenya and threatens wheat production globally. 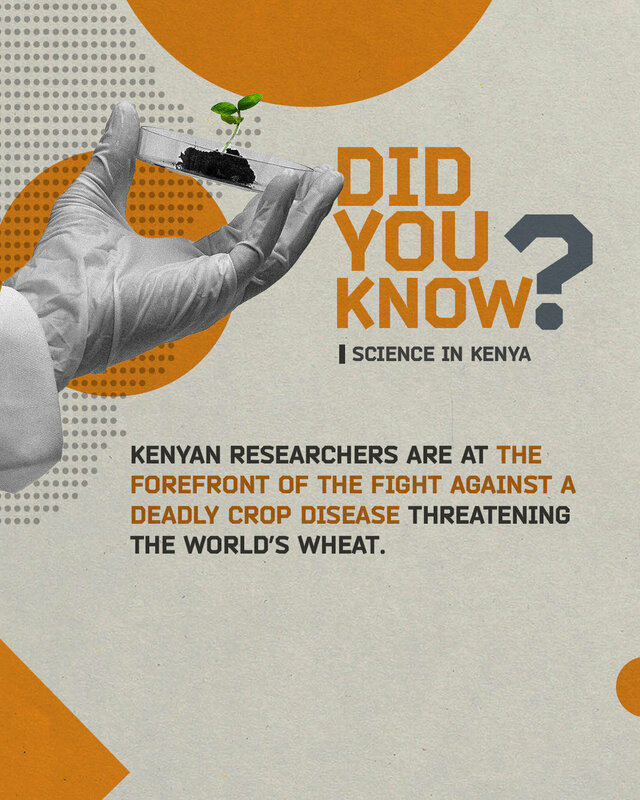 Their field research site in Njoro has emerged as a leading global collaborative platform where thousands of plant samples from all over the world are routinely tested and screend for wheat rust vulnerability. They work closely with farmers to develop and test new resistant strains with diverse genetic backgrounds, getting ahead of the mutating Ug99 gene. These efforts are crucial to the world's food security.